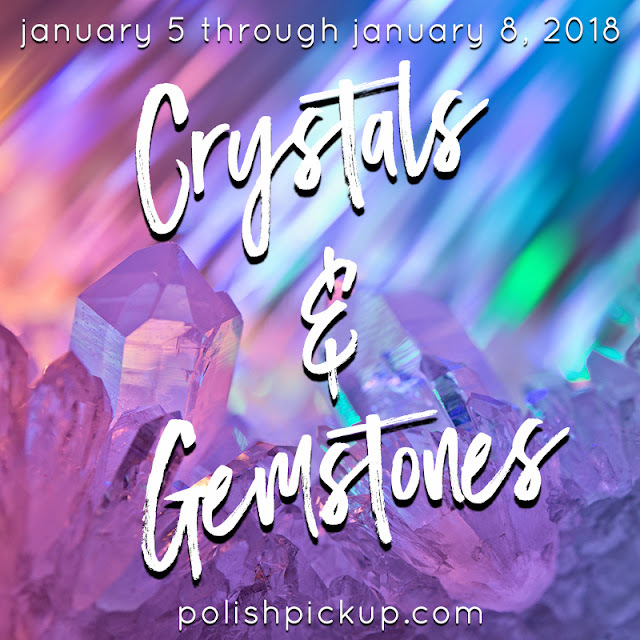 More Polish Pickup goodness today! This time I have a lovely little sparkler from 77 Nail Lacquer. It is cold, crisp, and squishy. Just like the weather in most of the US! 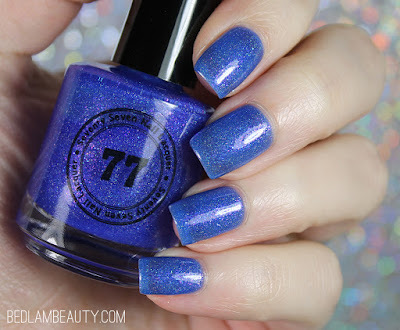 This is a soft sapphire blue jelly swimming with holo and cool flashing pinky flakes. It is delicate and feminine, and reminds me almost of velvet. It is slightly sheer (though less so in normal lighting than my lights would lead you to believe) and I needed three coats to reach the opacity shown below. I think next time I wear this one I'll layer a couple of coats over a shade like Pretty Serious Type 40, Sally Hansen Pacific Blue, or Baroness X Vulcan Blood. All of those deliciously saturated blues would make this a supremely deep shade. Though...I bet if I layered it over a violet or a black. I need to experiment. For science. The sale starts bright and early (for me) at 11am eastern. 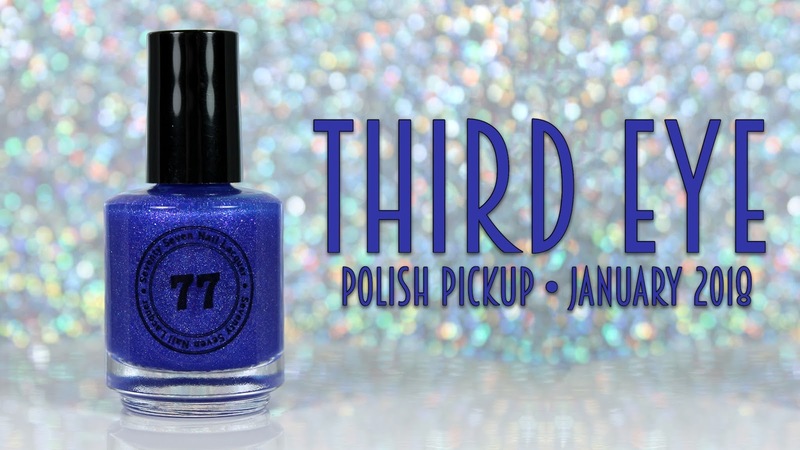 This polish and nearly seventy other items will be available for one low shipping cost. Click the image below to start making your wishlist! I can't wait for Polish Pickup and this beauty will be on my list. I love the shimmer in it. Thanks for the warning that it's sheer so I'll try a blue base coat first. 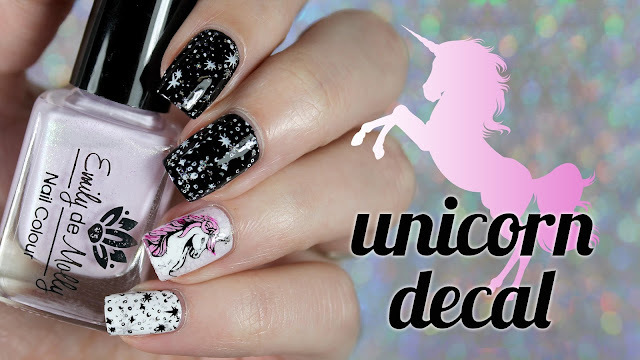 BEAUTIFUL swatch Nichole! This month will be difficult for me. I'm really trying to focus on my untrieds, but so many are calling to me "kristi, take me home, we want to joint your untrieds!" This month might kill me. So many pretties. This is beautiful! I can’t resist the blues! Beautiful. You're so right about layering. I bet it would be stunning. Can’t resist a blue like this! 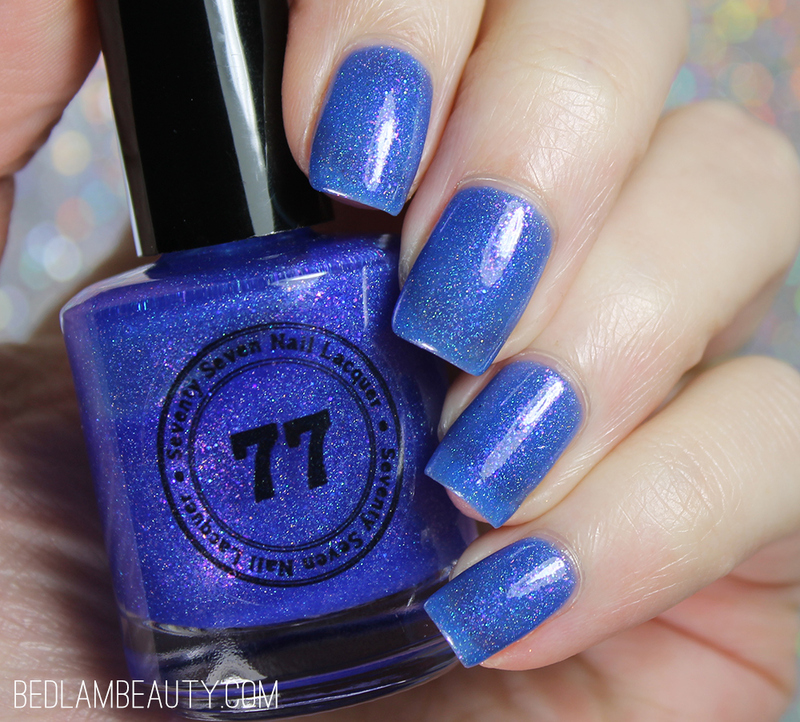 This is the kind of blue polish I could wear all around the year! ugh I keep telling myself it's ok to skip this month but every polish I see just gets better and better. I really like this shade of blue and that sparkle is gorgeous. This blue sapphire shade is really gorgeous. I could never resist a gorgeous blue! I already knew January's theme would be dangerous for my wallet, but seeing this beauty just made it even more real!